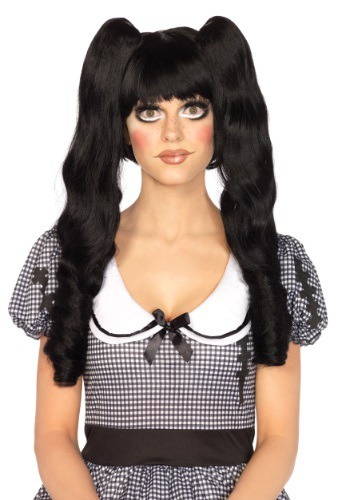 Honestly, what is the point of being a doll if you can’t have fabulous, flawless locks? You don’t get to eat yummy food, move without someone else’s help, or even blink. And you have to wear some really weird outfits that you don’t get to choose. So a doll’s bouncy and beautiful hair is a big portion of her fun! 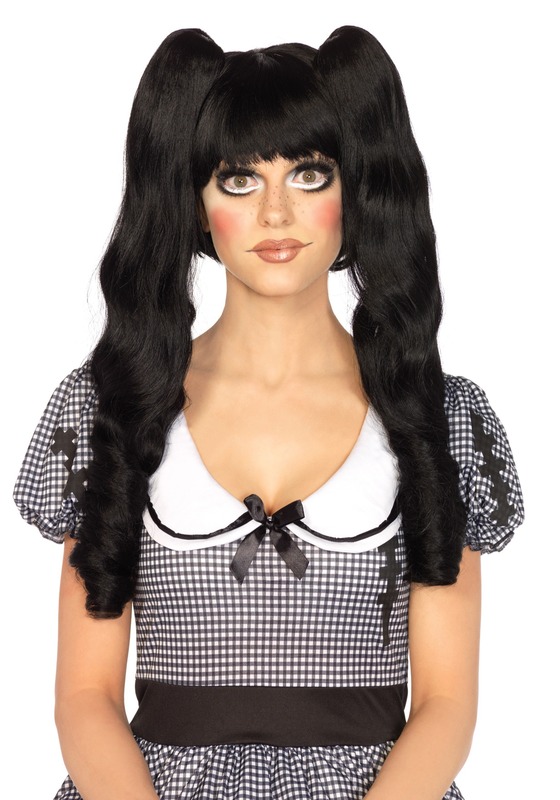 This Black Dolly Wig is styled to complete any of our Voodoo or Broken Doll costumes for women. But really, this wig’s blunt bangs, short bob style, and attachable long pigtails could look great alongside a thousand other looks. Because any way you pair this wig, you will be guaranteed to have the longest, thickest, shiniest hair out of all the other “dolls” on the block. Even if you are wearing mismatched shoes and that ruffled red ball gown.